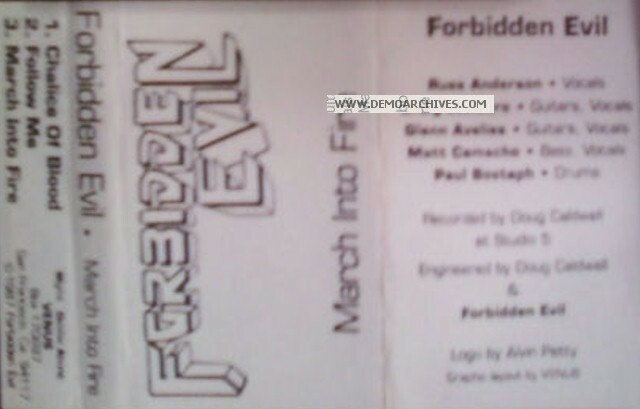 Forbidden Evil was formed by drummer Jim Pittman and guitarist Robb Flynn (later of Machine Head). 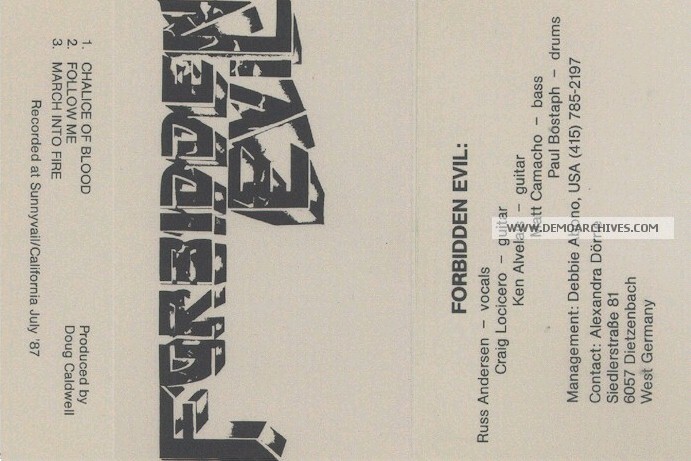 They recorded several demo tapes and appeared on the, now-out-of-print, live album Live At Ruthies Inn - The Eastern Front with its original lineup featuring Craig Locicero (guitar), Russ Anderson (vocals) and John Tegio (bass). Jim Pittman, John Tegio, and Robb Flynn left the band and were replaced by Paul Bostaph (drums), Matt Camacho (bass) and Glen Avelais (guitar). 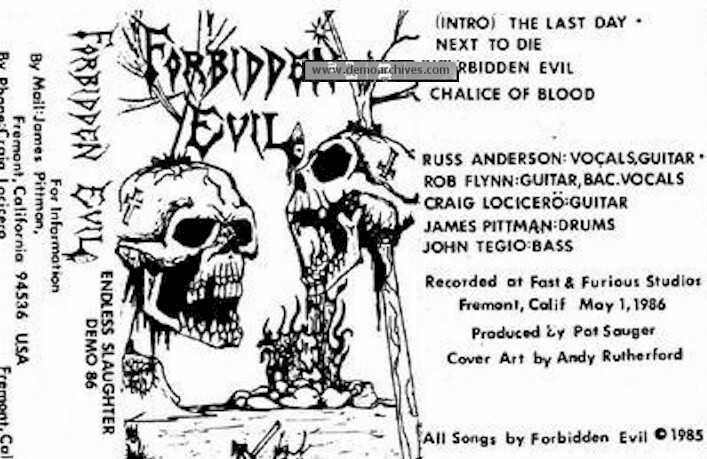 The band's name was shortened to Forbidden in order to prevent the band from being stereotyped as a black metal band. 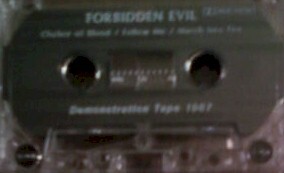 Forbidden Evil, the band's debut album, was released in 1988. The album included three songs written by former guitarist. The debut album line-up lasted until 1989 when Glen Alvelais left the band, later to join Testament. He was replaced by Tim Calvert. Their second studio album, Twisted Into Form, was released in 1990. Any other Demos with covers? Pro printed covers and tapes. Not quite sure what the difference is between this and the next demo besides the covers. Issued with pro-printed cover and pro printed tapes. 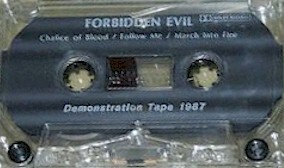 This demo featured the same lineup as the first album, and was the last recording made under the "Forbidden Evil" name, before they shortened it to simply "Forbidden"